This type of window can be a very popular style for a lot of homeowners, and it dates back years ago, making it a more vintage style. However, updates in the design over the years have helped it to keep up with the times while still looking elegant and antique in your home. The general style includes two sashes that can open independently of each other, which allows for a wide variety of options. They open vertically, which means that you probably won’t need much space on either side of the window to allow them to open. However, some styles tilt inward for easier cleaning. Windows can be both single-hung and double-hung, but here are some of the ways that double may be more beneficial for your home. First of all, they can allow for more airflow in the home since both the top and bottom sash can open together. They can also be safer in homes with children by allowing the top sash to open while the lower one stays closed to keep curious children inside. 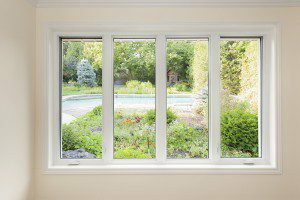 The next time you are considering what kinds of windows to put in your home, you may want to consider the double-hung windows for some of the reasons above. You may also come up with more of your own reasons if you continue to research what they are and the benefits that they can have. Seeing a supplier of these windows can help you to answer any questions you may have as well as help you decide on the right kind of style and other options for your home.